In the late 1920s, BMW decided to enter the automobile market, which meant they invested in tooling to make pressed-steel body parts for their Dixi car. A pressed sheet-steel chassis works for a car, and just as well for a motorcycle, being lighter and much stronger than a comparable tube frame, with the possible bonus of true mass-production, versus the skilled hand-fabrication necessary with a welded-up tube frame. A second upside was a very modern appearance for the late 1920s, and the new frame simultaneously echoed the best streamlined aircraft construction, and Art Deco styling. The 750cc R16 was BMWs range leader and a genuine sports motorcycle, capable of around 90mph in total comfort with its deeply leaf-sprung forks, with excellent handling from the non-flexing chassis and sharp steering geometry. BMW was learning fast how to make a top-flight motorcycle, as good as anything else built in the world, and the R16 lives up to its reputation even today, being a real joy to ride, as well as a reliable sports tourer. 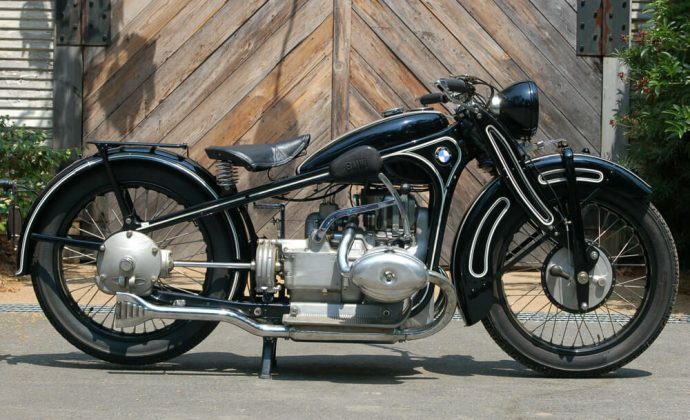 This 1931 BMW R16, engine # 76548 is a ‘series II’ version, with a rounded-back Bosch headlamp, wider 4-rib rear brake shoes, a stronger clutch thrust bearing, plus an extra bearing in the rear wheel. 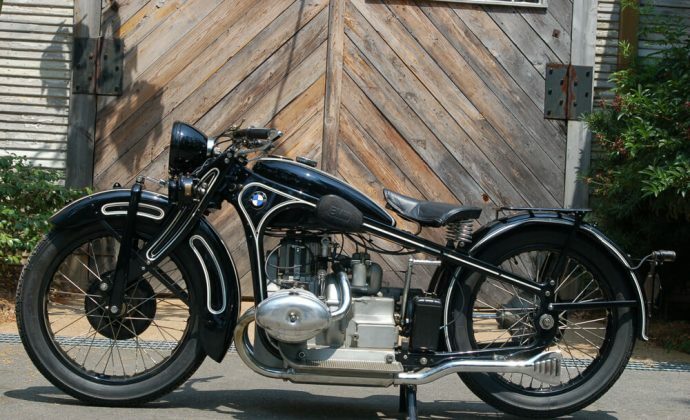 BMW kept the pressed-steel frame in production for 8 years, and the R16 (and the later tele-fork version, the R17) was updated annually with small changes and improvements. This machine was purchased from the legendary Willy Neutkens collection in Germany.